Guruji Yogabramharishi Prabhakar had a strong urge to bring Rishi culture back in India; and thus left a very rewarding career and came back to India. He established himself in Bangalore and designed a very powerful programme called Siddha Samadhi Yoga (SSY). The name of the organization is Life Yessence Academy (LiYA). Through meditation, pranayam and pranic food, SSY teaches us ‘to celebrate life every moment and be happy for no reason’. There are 16 ashrams and over 600 centers all over India. SSY Trainings effortlessly remove stress from your life, help you emerge out of bad health with vigour and vitality, get amazing memory, be free from chronic diseases such as diabetes, hypertension, asthma, allergies, depression, insomnia, eating disorders, back and joint problems, fatigue etc. You will also learn how to manage the swirl of emotions with balance, and become a natural and magnetic leader at work and home. You will discover new wealth, richer relationships, effortless working, unbelievable energy levels and not least of all - a state of happiness you never thought possible. By cleansing the Pancha Koshas (5 sheaths) that prevent you from realizing your full potential, the core SSY Trainings help you progress & directly experience higher levels of yourself, at your own pace. Starting with the foundational Sahaja Samadhi Training that lays a solid base for the 360o development, you can elevate yourself into higher states with the Nitya Samadhi Training and finally the Bhava Samadhi Training. 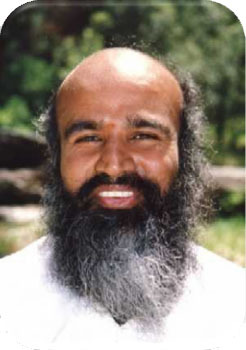 Param Poojya Guruji’s discourses, programs and trainings have transformed people all over the world. The trainings have a permanent impact on people’s lives and open their hearts to a greater joyful possibility that is normally unavailable. Hundreds of corporations in India are embracing this purely Indian system of super management. Many corporates are shifting to this method of training and grooming men of heart rather than creating efficient exploitive technocrats. SSY Training is a potent force in transformation of the individual, community, country, and the world. Many villages are turning into liquor free, tobacco free and election free harmonious communities. Thousands of individuals have experienced remarkable signs of improvement in chronic diseases such as, asthma, arthritis, blood pressure, diabetes, epilepsy, heart condition, hypertension, obesity, ulcers, etc. after just a few days of practice. Scientists have improved their creativity through SSY training. SSY training is adopted by such organizations as Bhabha Atomic Research Corporation, Nuclear Power Corporation, Naval Research Station, D.R.D.O., B.D.L., I.S.R.O., S.A.I.L., C.D.A.C. etc. In administration, SSY has found the most important place of raising human resources and has been implemented as part of their training by institutions such as The Bank of Maharashtra, Pimpri and Chinchwad Municipality, Kriloskar Electric, Kriloskar Oil Engines Kirloskarwadi, Central Railways at Mumbai, Excel Industries, General Motors (India). SSY education is adopted by hundreds of schools, Engineering Colleges, and Management Institutions in India. 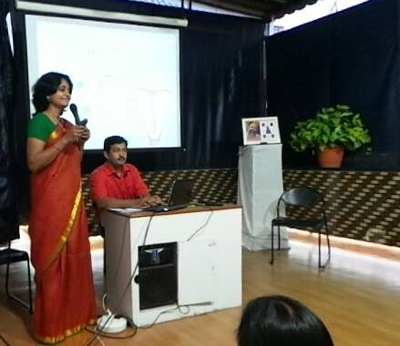 Dr. Hiremath of Pune has documented effect of SSY practice on Arterial blocks in the heart. SSY has been proven to eliminate need for bypass surgery in most cases. RSVK conducts large-scale plantation projects in towns, villages, and forests. Religious Harmony conferences adopted by RSVK and community prayers have resulted in bringing better understanding and together ness among religious leaders. RSVK has adopted community Annadana (feeding) and Sahabhojan programs to share food and love in communities. RSVK is building schools to inculcate the powerful Gurukula system of training in all education faculties. Siddha Samadhi Yoga (SSY) is a simple, systematic, and scientific program from ancient India. More than a hundred thousand people around the world have participated and benefited enormously. Many chronic ailments such as Asthma, Arthritis, Blood Pressure, Diabetes, Hypertension, Insomnia, Migraine, Natural way of Weight Loss, Reversing Heart condition, etc. show remarkable signs of improvement in just a few days of practice.